Guillain-Barre syndrome is a severe inflammatory disorder of the peripheral nerves. It is an autoimmune disease, i.e. the immune system that is supposed to attack foreign substances like bacteria; starts attacking cells of own body, in this case the nerves. The immune system produces special molecules, called the antibodies that are mainly responsible for damage to nerve cells in Guillain-Barre Syndrome. A previously healthy person suddenly develops tingling and numbness primarily in the feet which within a couple of weeks spreads through the body to cause loss of muscle control and feeling throughout the body. Possible loss of feeling and movement in the upper body, face, arms and legs. The symptoms can remain in this phase and can cause little difficulty in walking. However, in some cases the illness can progress resulting in entire paralysis of arms and legs. 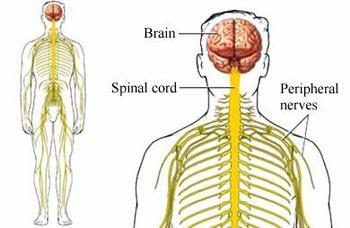 Gullain Barre syndrome is considered to be the most harmful disorder because it attacks the patient suddenly and surprisingly. The patient within weeks reaches the highest level of weakness. In 3rd or 4th weeks of the illness the patients are at their weakest. The recovery period can be varying according to the condition of the patient. It can be few weeks or in some cases a few years. Ineffective Breathing Pattern, Ineffective Airway Clearance, Impaired Gas Exchange related to respiratory muscle weakness or paralysis, decreased cough reflex, immobilization. Ineffective Breathing Pattern Definition : The exchange of air inspiration and / or expiration inadequate. Ineffective Airway Clearance Definition: Inability to clear secretions or obstructions from the respiratory tract to maintain airway patency. Impaired Gas Exchange Definition : Circumstances where an individual has decreased course of gas (O2 and CO2) that an actual or risk of lung alveoli and the vascular system. Blood gas analysis values within normal limits. 1. Monitor the number of respiratory rhythm and depth every 1-4 hours. R /: Paralysis of breathing can occur 48 hours. 2. Auscultation of breath sounds every every 4 hours. R /: breath sounds indicate inadequate ventilation. 3. Maintain effective airway, suction and clean the mouth. R /: a patent airway. 4. Help the patient to cough effectively. R /: Increase effective airway. R /: Preventing pneumonia and atelectasis. 6. Collaboration in the provision of oxygenation. R /: Fulfilling the need of oxygen. 7. Monitor blood gas analysis. R /: Knowing the changes in oxygen in the blood. 8. Assess the level of consciousness and skin tone. R /: Changes in blood gas analysis will affect the level of consciousness and skin tone.